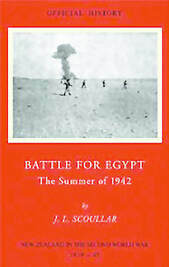 ​​Experiences of 2 New Zealand Division during its sojourn in Syria in early 1942 and its services in Egypt during the crisis of the Desert War. Bob Moore and Des Underwood. It is a unique story in many respects, presenting back- ground, detail, and perspectives that are not commonly recorded elsewhere. New Zealander Special Air Services. Lieutenant Colonel W.S. Austin DSO.